An icon in the children's fantasy genre, Diana Wynne Jones garnered admiration and countless awards over the years for her dazzling works. In Earwig and the Witch, listeners meet Earwig, who is not your typical orphan by any stretch. Unlike most, she loves it at St. Morwald's Home for Children, where she knows everyone and usually gets her way. 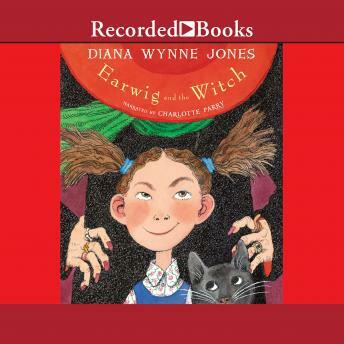 So when Earwig gets adopted by a strange woman named Bella Yaga, she wants no part of it-especially after she finds out Bella is an evil witch. Now Earwig will have to use all of her considerable wit and charm (and the help of a talking cat) to get out of this mess and back home safely.